Nicky started practising Pilates herself to relieve lower back pain. The success inspired her to go on to become an instructor and she qualified with STOTT Pilates in 2013. Nicky runs her own studio in a beautiful boutique barn in Kingsfold, West Sussex. 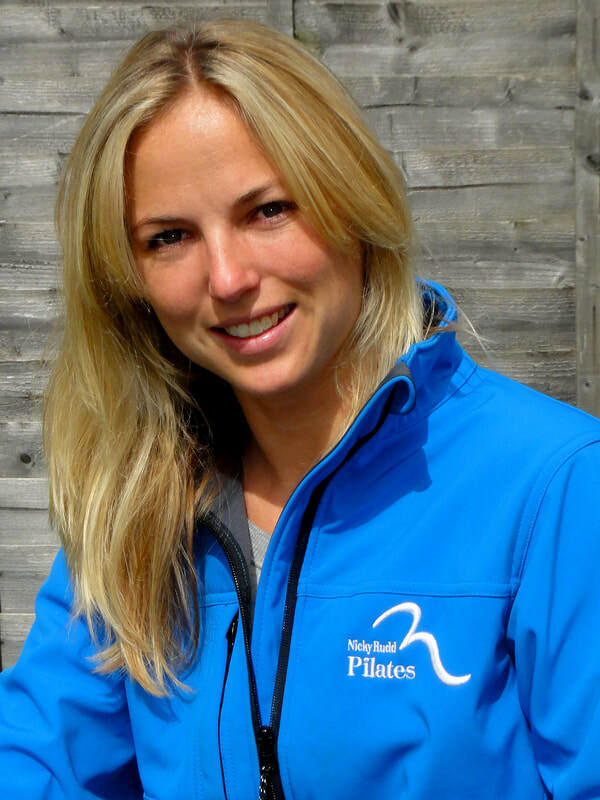 As well as being an Equipilates Biomechanics Trainer™ Nicky is qualified in Pilates for Matwork, Reformer, Tower and Cadillac. She is beginning her Yoga teacher training in March 2018. Nicky has had a huge passion for sport and has ridden horses since a child. Having worked at an event yard she has ridden many different horses. Now she helps to exercise other peoples horses, and takes regular lessons in Dressage and Jumping. Nicky works with riders from happy hacker to professionals. She offers 1:1 Biomechanics and Equipilates™, Equipilates™ Conditioning Classes, and Equipilates™ Fundamentals Courses. Before teaching Pilates Nicky competed around the world in Kitesurfing and had also worked as a Pilates instructor in professional rugby. Rehabbing her own injuries and working a alongside physiotherapists and osteopaths Nicky has deepened her understanding of the body. She is very descriptive in her teaching method, helping clients to really become body aware and experience ‘feel’.